Welcome to the new health care fraud column. In May, U.S. authorities charged 107 people — including doctors, nurses and other licensed medical professionals, for allegedly trying to defraud Medicare of about $452 million, the largest Medicare fraud sweep to date. "Health care fraud shows no sign of abating," said Dr. Joseph T. Wells, CFE, CPA, founder and Chairman of the ACFE, during his recent keynote message at the 23rd Annual ACFE Fraud Conference & Exhibition. "Don't expect a downturn any time soon because governments have a long history of being able to dole out money without keeping very good track of it." In this inaugural column, Lauren E. Davis, CFE, ASA, a consulting manager with Pershing Yoakley & Associates, P.C., describes other recent cases, pertinent U.S. legislation and governing agencies, typical schemes and ways to detect and deter health care fraud. — ed. Health care fraud is a serious problem affecting every patient and consumer. The devastating situation is rooted not only in the excessive financial losses incurred, which extend into the billions of dollars every year, but also in patient harm. It's estimated that the economic cost of fraud related to health care in the U.S. is 3 percent to 10 percent of all healthcare spending — an estimated $68 billion to $260 billion annually. Fraudsters commit a wide variety of schemes against private and public insurance companies by filing fictitious health care claims to generate profits. 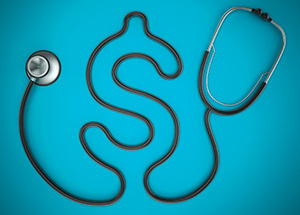 As health care costs rise, so will the costs associated with these schemes. Consumers then will endure rising insurance premiums and out-of-pocket expenses. Various individuals, including owners, the CEO and other senior employees, of American Therapeutic Corporation (ATC), a mental health company in Miami, have been convicted or named as defendants for their participation in a $205 million Medicare fraud scheme involving fraudulent billings. The defendants are alleged to have billed Medicare for hundreds of millions of dollars for services that were either unnecessary or never provided to the patients, and based on fraudulent documentation. Some key participants — ATC's executives, Lawrence Duran, Marianella Valera, Judith Negron, and Margarita Acevado — were sentenced to 50 years, 35 years, 35 years and 91 months in prison, respectively, for their roles in the fraud scheme. Detroit Medical Center, a non-profit company that owns and operates hospitals and outpatient facilities in Detroit, allegedly engaged in improper financial relationships with referring physicians. The company has agreed to pay $30 million to settle allegations that it violated the False Claims Act, the Anti-Kickback Statute and the Stark Statute. The owner and vice president of Wayne County Therapeutic Inc. were sentenced to 151 months and 108 months in prison, respectively, and ordered to pay $6.5 million in restitution. The two were the leaders in a $23 million Medicare fraud scheme, which included the filing of false claims for physical and occupational therapy services that were never provided. Boris Sachakov, M.D., owner and operator of Colon and Rectal Care of New York, P.C., was found guilty on one count of health care fraud and five counts of health care false statements. The indictment alleged that Sachakov submitted more than $22.6 million in false and fraudulent claims to Medicare and private insurance companies for surgeries and medical services that were never provided and received in excess of $9 million on those claims. Sachakov faces a maximum penalty of 35 years in prison and an $18 million fine. A total of 73 defendants, including alleged members and associates of an organized crime enterprise, were indicted for various fraudulent billing schemes totaling approximately $163 million. The frauds committed included submission of bills for medically unnecessary treatments or for treatments that were never provided, identity theft of physicians and Medicare beneficiaries and the operation of phony clinics for the purpose of submitting Medicare reimbursement claims.